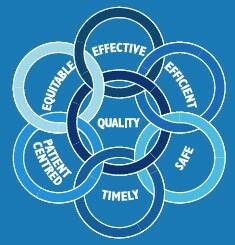 Quality Improvement and General Practice? How do you find time to reflect on and improve quality of our care? How do we effectively and efficiently improve our services? Will our patients see the benefits of improved outcomes? General Practitioners in the UK are already engaged in improvement work. They are required for appraisal and revalidation purposes to engage in quality and safety activities individually and collectively at a practice level within the framework of clinical governance. 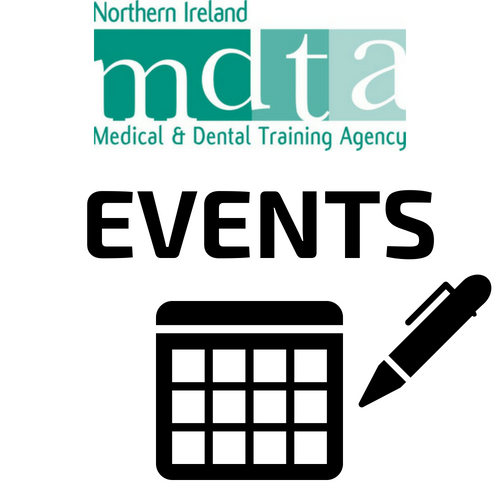 General Practice has a well-established track record in Clinical Audit and Significant Event Analyses. QI is the next logical step for improvement in healthcare. The techniques, tools and methods that are being used for improvement have come from and been taken from industry and adopted for healthcare. The IHI (Institute for Healthcare Improvement) based in USA has been one of the leaders in developing QI methodologies for healthcare. On the publication of the Francis Report in February 2013, the Prime Minister David Cameron asked Professor Don Berwick (former Chief Executive of IHI) to advise on the future direction for the NHS. 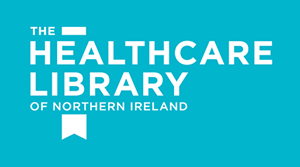 One of the key recommendations in his report, “A promise to learn – a commitment to act”, was that the NHS “should become a learning organisation”. Quality Improvement is one of the ways for this to be achieved. How do we know that a change is an improvement? What changes can we make that will lead to improvement? and the Plan-Do-Study-Act (PDSA) approach to change. 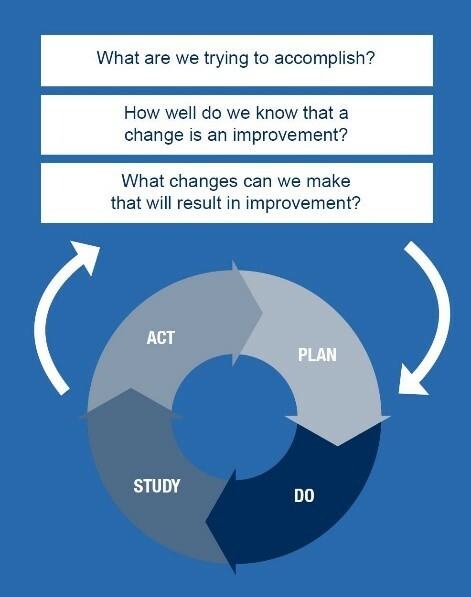 The PDSA cycle is shorthand for testing a change by developing a plan to test the change (Plan), carrying out the test (Do), observing and learning from the consequences (Study), and determining what modifications should be made to the test (Act). Many of the medical Royal Colleges have been developing their QI curricula and RCGP is no different. 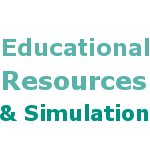 There are a range of resources available on the RCGP website. 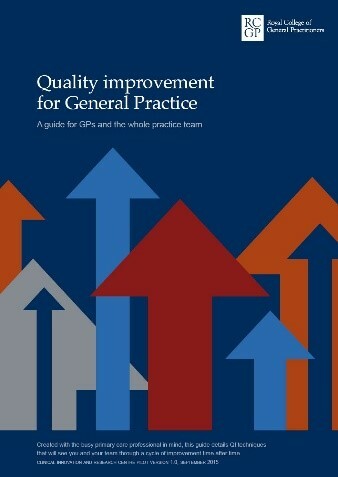 The RCGP QI guide ‘Quality Improvement for General Practice’ published last year is available there. You can access it directly by clicking on the image of the front cover below. 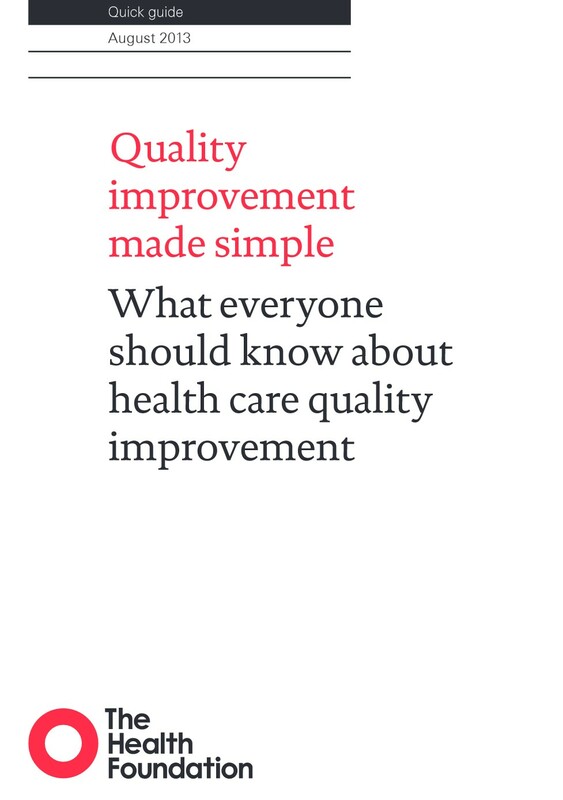 Another UK organisation with a strong QI approach to healthcare improvement is The Health Foundation – their guide ‘Quality Improvement Made Simple’ is available by clicking on the image of the front cover below also. Finally if you prefer there is a popular short (11 minute) video on YouTube by Dr Mike Evans which you may find informative.